Today we’ll be interview author Anika Joy as part of the blog tour for the release of her children’s story, Penny’s New Beginning. Nine-year-old Penny Hearting has just moved to Nassau with her family, and is completely convinced that a mermaid rescued her from drowning, but no one believes her. So, she takes matters into her own hands and goes on a search for the mermaid that rescued her. Ten-year-old Emmy is the princess of Utopia, an underwater city populated by mermaids. But, when her evil aunt, Cassandra, takes the city from her father, the King, her only option is to seek help from the girl who she rescued from drowning. When these two lives collide, can they and another friend save their homes from disaster? Anika Joy is a daughter, sister, and child of the one true King. She loves to write books, sing in choir, and bake treats for her family. At the age of 4 she taught herself to read and wrote her first short story when she was 8. That story was later published in a kid’s magazine when she was 11, which sparked her dream of becoming a published author. She is now very happy to see that dream come true. Anika currently lives with her two sisters, two brothers, and parents in North Dakota, and feels very blessed to be awaiting the arrival of another little sister. If you had to tell a complete stranger about Penny’s New Beginning in one sentence, what would you say? What was your writing process for Penny’s New Beginning? How long have you had the idea, did you outline or just dive in, and how long did the writing take from start to finish? Is there anything in particular you want to teach people through Penny’s New Beginning? What’s your favorite kind of candy? What’s next after Penny’s New Beginning for you, writing-wise? All I know is three words: YA, Fantasy, and Magic (*gasp*). Well, there you have it, folks! (That was incredibly cliché, but I admit I couldn’t think of anything else to say.) 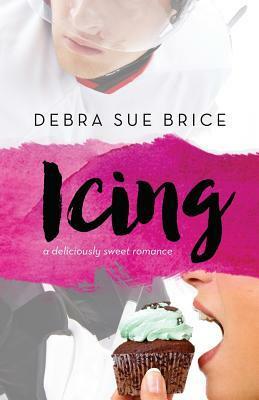 Thanks for joining us today and be sure to check out the other great posts in this blog tour. One Summer Sunday in 1930, Carol Ayers decides to keep a diary. She records many life changes over the days, weeks, and months. Can Carol and her family accept, and even like the changes, and at the same time continue their traditions? The New Diary, a fictional account, contains actual excerpts from the real diary of Carol Ayers, the author’s great-grandmother. Hanna Kraft, an introverted Christian Homeschooler, is very grateful to have the opportunity to learn at home, and desires to spread her love of Jesus to others. Every day she sees new ways the Lord has provided, blessed, and cared for her and those she cares for. Hanna enjoys writing much more than any of her five siblings, and has enjoyed it for several years. When she realized her ability to publish The New Diary, she decided to pursue writing as a bit more than a mere hobby. Besides reading and writing, Hanna lives in the country with her family, and enjoys playing the banjo, swimming, listening to much Southern Gospel music, and watching college basketball. Why did you decide to write your great-grandmother’s story over just some random fiction tale? When you started writing The New Diary, did you ever think you’d share it with anyone other than family and close friends? When I realized that I would be writing a book, I dreamed that I would become a (famous?) author. With The New Diary, though it was primarily for my family, I knew I would want to share it with others. Ah! I do love them all, as I’m sure all writers can understand. I think Carol ends up being my favorite, since she is my great-grandmother. I did enjoy writing scenes with Irish, Pete, and Edythe, though. If you could tell people one thing about The New Diary to interest them in reading it, what would that be? Hm… maybe that Pete’s daughter said that is was like reading the Little House books? Maybe I would rephrase my statement and say that I ‘modeled’ it, in a way, after the Little House books. What was the hardest thing about writing The New Diary? About how much of The New Diary is fiction and how much is nonfiction? I would like to say 100% is nonfiction. That is not true. However, almost every scene is based off of what Carol mentioned in her diary. Even Carol’s visit to the Shelps was mentioned in her diary; although her conversation with Gertie about Carol’s many siblings was fiction, it is fact that she visited the Shelps on that particular day. Sometimes I have detailed facts- for instance, that make-up woman in the tent really was smoking a cigarette! Do you see writing as a hobby … or could it become a future career? Both! I love writing, and therefore it is a hobby. I do want it to become a ‘career’ of some sort, although I believe I shouldn’t focus on doing only that with my life. Snacking? No. Listening to music? Yes, if possible. While writing my first draft of The New Diary, there was no way to listen to music: I wasn’t near a computer, nor was there a nearby CD player. With Book #2 of The Heritage Diaries, however, I hope to listen to music while writing. Is there a special place you go to write? Not really. I like writing on my bed, but I can easily write anywhere. What’s your next writing project going to be? Today we’ll be featuring an interview with T.M. Fairman, author of 3 Days: A Passion. You can find more about him and his works on Facebook or Goodreads. Welcome to Reveries Reviews, T.M. Fairman. Could you tell the readers a little about yourself? Hi Kellyn. I am a Christian father of four based in the South of England and am currently working as a Maths and Economics teacher in a secondary school, teaching 11 to 18 year olds. Where did you get the idea for 3 Days: A Passion? Within a few years of each other, my Grandma died from Alzheimer’s and my father-in-law succumbed to a variety of illness after a long struggle. Within their struggles, their partners’ strength, dignity and love really touched me. Then as I was preparing for Easter, I was struck by the similarities of their journeys and that of the Apostles during Jesus’ Passion; the sense of helplessness whilst the one you love suffers. The idea grew out of these two thoughts; that you can still love and hope in these situations and these situations are a part of all our lives. Why did you decide not to name your main characters? As a teacher, names are particularly tricky. Any teacher will tell you how difficult it is to name a child, given that they probably know at least one student with any name that is suggested! Also names automatically create an image in your head and I wanted the story to be a personal journey, one that makes the reader the centre of the story so they can answer the questions that the book poses for themselves. I know it seems a bit depressing, but the questions of death underpin all religious pursuit. To be alive is to know that death is inevitable. However I feel that it is a conversation that has been neglected recently and I wanted to get people to engage with it, preferably with hope rather than despair. 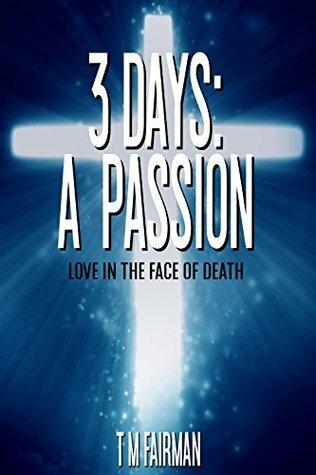 How long did 3 Days: A Passion take you to write? I lived with the characters for about a year, before finally finding the thread that would hold the story together. The actual writing took about 6 months. Although the editing and revisions took another 6 months after that. What was the hardest thing about writing 3 Days: A Passion? The hardest thing about writing the book was probably the aftermath. The writing seemed to flow and I think I was quite fortunate in that respect. Whenever you create something, it becomes very precious and hearing people’s feedback, positive or negative, becomes a judgement about you. Trying to separate the opinions about the book from judgements about my self-worth was a particularly hard job. I would suggest that I approached writing in a more professional way. I started writing as I felt inspired and had something to say, but did not believe it would get this far where people who I did not know would be reading it! In particular, the release and the marketing lacked a coherent plan. Thanks for being here with us today, Mr. Fairman! Thanks Kellyn for the opportunity to share. TM Fairman is something of an unexpected author. Currently residing in the South of England, the father of four studied Economics and Econometrics, leading on to a career teaching Mathematics and Economics in secondary schools. Although reading has always been a hobby, the inspiration to write came as a bit of a shock for him and those around him. The main inspiration for his work comes from a Christian faith and the wide variety of people that being a teacher gives him the privilege of meeting. From a literary point of view, writers such as Dumas, Tolkien and Sterne feature highly on his bookshelf although he lays no claim to being anywhere near belonging on the same shelf!